It is also called the Spring Festival - as it marks the arrival of spring the season of hope and joy. 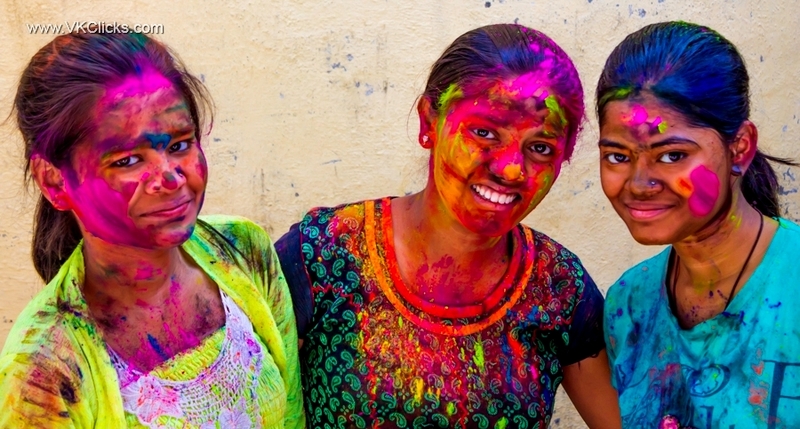 The Holi festival commemorates the victory of good over evil, brought about by the burning and destruction of the demoness named Holika. On the eve of Holi, giant bonfires are lit to mark occasion and to burn evil spirits. This is known as Holika Dahan. It is said that the naughty and mischievous Lord Krishna started the trend of playing colours. He applied colour on her beloved Radha to make her one like him. The trend soon gained popularity amongst the people. Bright colurs like red, yellow and green filled in the air and people start to pouring colour and water over each other. 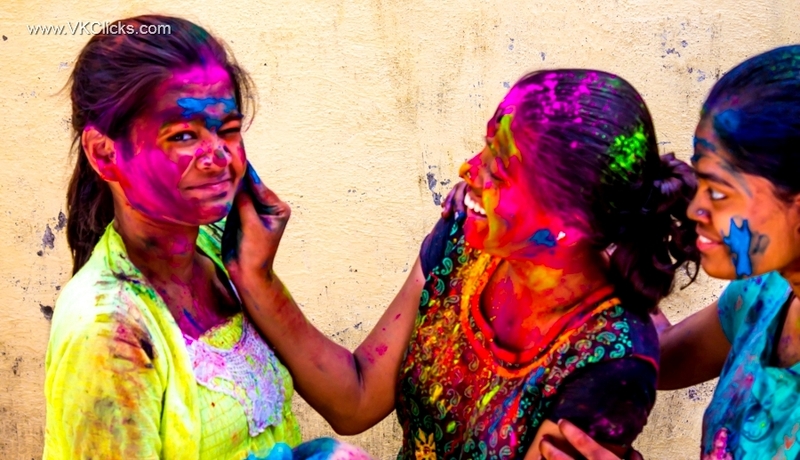 Youngsters take special delight in spraying colours on one another with their pichkaris and throwing water balloons.